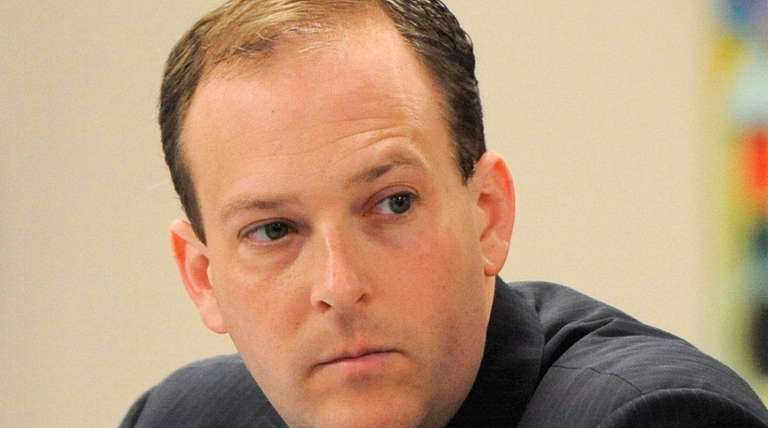 A Rep. Lee Zeldin (R-Shirley) campaign mailer gives voters the wrong date to send in absentee ballots. The mailer says “Absentee ballots must be postmarked by November 8th.” The actual deadline is Nov. 7. Zeldin campaign spokeswoman Jennifer DiSiena said the mailing was a mistake. “We have already started reaching out to everyone individually to make it crystal clear to make absolutely certain they get their absentee ballots in the mail before the 8th or hand delivered to the Board of Elections on the 8th,” DiSiena said in an email. Zeldin is facing Democrat Anna Throne-Holst, a former Southampton Town supervisor. Throne-Holst’s campaign declined to comment.